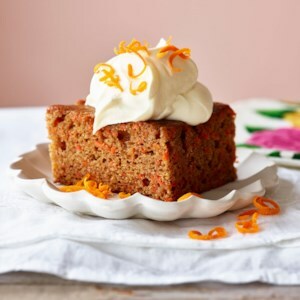 Find healthy, delicious saffron recipes, from the food and nutrition experts at EatingWell. Saffron can be a pricy spice to use, but its delicate flavor can't be replicated and its carotenoids are credited with cancer-fighting powers. 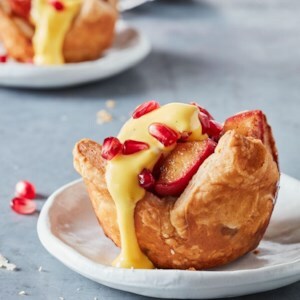 In this healthy tart recipe, saffron gives the topping a beautiful golden hue. 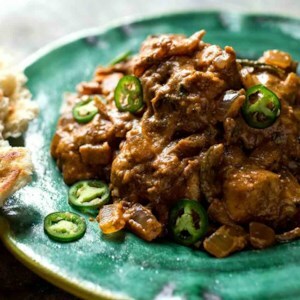 Butter or even heavy cream usually gives butter chicken its rich, satisfying quality. In this healthy version of a butter chicken recipe, cashew butter creates an equally luxurious texture. Chickpea flour thickens the sauce, but is optional if you don't have it on hand. For weeknight speed, marinate the chicken ahead of time and you can have this dish on the table in about 30 minutes. 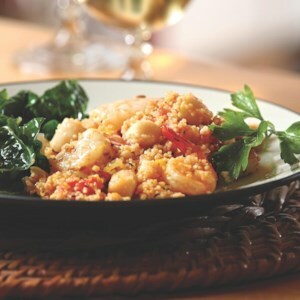 Serve with steamed spinach and basmati rice. Saffron, tomato and a touch of cream yields a flavorful sauce for these simple steamed mussels. Soak up the sauce with plenty of crusty whole-grain baguette. 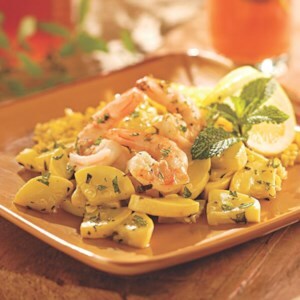 Golden saffron and a bounty of herbs and summer vegetables make this a beautiful and fresh-tasting dish. Don't overseason; let the flavors sing. Mussels are an excellent fast, healthy dinner. Look for them on ice in mesh bags at your fish counter; the individual mollusks should be mostly closed, or they should close when tapped. The only other thing you need with this aromatic dinner? A couple of crunchy rolls that just might happen to fall into the sauce. Smoked mussels replace the pork sausages of a traditional paella, adding depth of flavor without the fat. 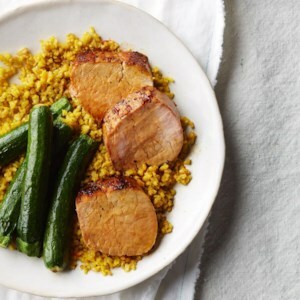 In this 30-minute healthy dinner recipe, whole-grain freekeh cooks unattended while you finish the rest of the meal. Using baby vegetables cuts down on prep time because they can be cooked whole. Look for them near prepared and/or specialty vegetables. If you can't find them, use 4 cups sliced small zucchini or summer squash instead (1/2-inch-thick slices). This easy baked chicken recipe is perfect for entertaining because you can mix most of the ingredients together ahead of time. While the chicken is baking, you can throw together a salad and make couscous or rice to sop up the delicious sauce from the chicken. Red onion is key here, as it helps the rhubarb retain its pink color even when baked. 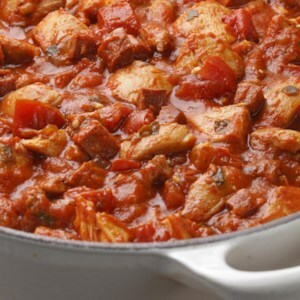 This hearty sausage and chicken ragù was inspired by a fabulous stew Bruce Aidells enjoyed when he was traveling in Spain. 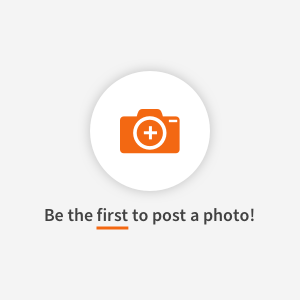 Serve it over a heartier pasta, such as whole-wheat penne, or gnocchi. Garnish with grated sheep's-milk cheese, such as Manchego. 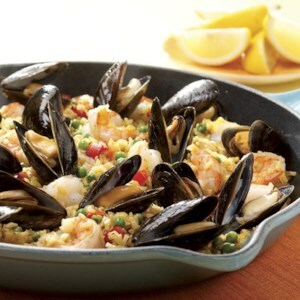 Our quick take on paella is studded with mussels and shrimp. 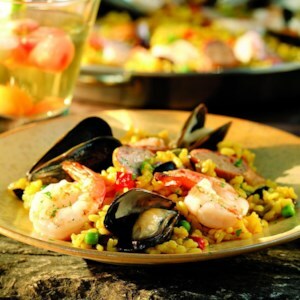 Traditional paella made with short-grain rice takes a while to cook and can be a bit tricky. Instant brown rice is a great shortcut--what it lacks in authenticity it more than makes up for in convenience. Make sure you seek out saffron, which gives the dish its distinctive yellow color and signature flavor. Serve with: Spinach salad. 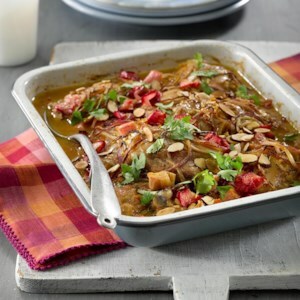 Ras el hanout is a special blend of spices used to flavor many North African and Middle Eastern dishes. The combination varies depending on who prepares it, but most blends contain cinnamon, ginger, black pepper and nutmeg. The saffron in this blend imparts a lovely yellow color. Make a large batch and keep it on hand--it's so delicious you'll want to use it as a rub for fish or meat, try it in vegetable stews or add it to roasted vegetables. 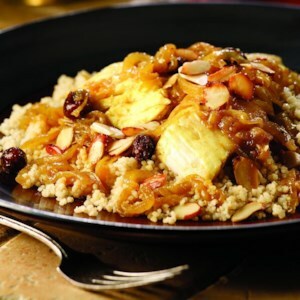 T'fayas, special-occasion dishes served all along Morocco's Atlantic coast, are known for their thick, sweet and heavily spiced sauces. This one gets a pleasant layer of sweetness from raisins and a touch of sugar, which marries perfectly with halibut. Biryanis are rice-based casseroles that combine a saucy meat, vegetable or legume curry with basmati rice, whole spices, nuts and raisins. 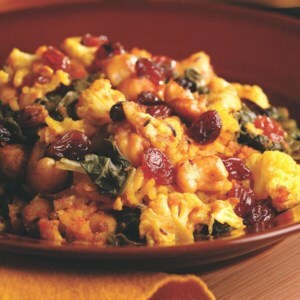 This particular dish is a nutritional powerhouse, thanks to the mustard greens and chickpeas. Look for the specialty spices--cardamom pods, saffron and garam masala--in the spice section of well-stocked supermarkets or online at penzeys.com. 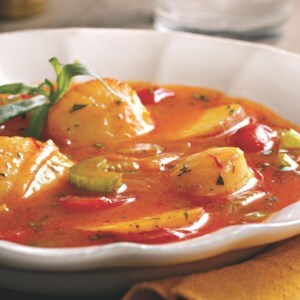 Tomatoes, tarragon and white wine make a fragrant broth for the scallops in this vibrantly colored easy one-pot stew. Make it a meal: Serve with a simple green salad and sop up the leftover broth with toasted whole-grain baguette. Paella started as an outdoor dish. 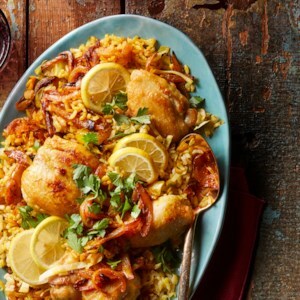 Grilling seafood, zesty sausage and vegetables before combining them with saffron-scented rice replicates that traditional character. Note that perfectly done paella rice will be dry and the slightest bit toothsome: it's not creamy or overly moist. 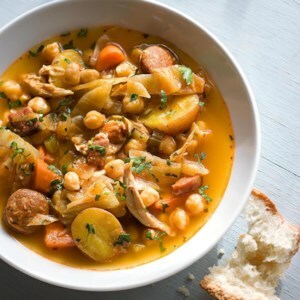 A tagine is a traditional Moroccan stew, traditionally prepared and served in a vessel called a tagine.